The theatre is located in the “Rocca”, or fortress, once the castle of the Pallavicino family, founded in the 1200s but heavily altered. Today the “Rocca” appears to us as it did in the second half of the 1800s. 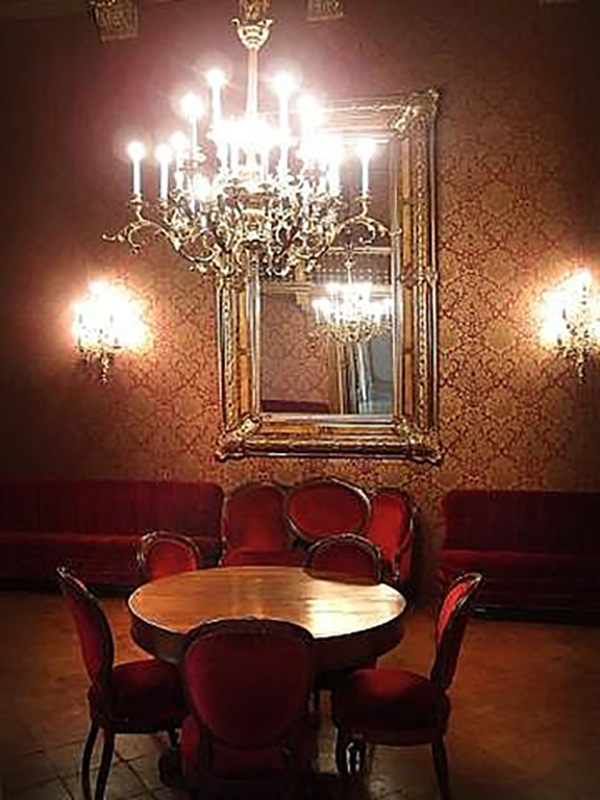 Previously there had been another theatre in the exact same location, where Verdi had performed in his youth, directing a symphony from Rossini’s Barber of Seville. The idea of building a new theatre was already circulating around town in 1845 but the project was abandoned until the Municipality bought the “Rocca” in 1856. Construction took place in the years between 1856 and 1868 regardless of the Maestro’s resistance to the idea. He opposed the townspeople because he felt they had invaded his private life and because he felt the new theatre to be “too expensive and useless for the future”. On 15th August 1868, at the theatre’s solemn inauguration, when all the ladies present wore green while the gentlemen all had to wear green ties in his honour [“Verdi” is in fact the plural of the adjective “verde” whose English translation is “green”], Verdi himself was visibly absent even though two of his operas were performed: The Masked Ball and Rigoletto. Even afterwards, he was careful not to set foot in the theatre despite having contributed the remarkable sum of LIT10,000 for its construction and owning a box. 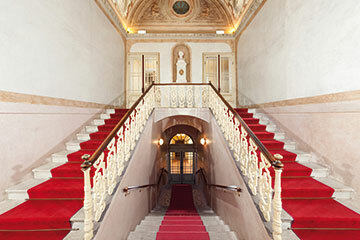 The theatre, designed by the architect Pier Luigi Montecchini, is entered from the porticoes, and then by climbing a large staircase adorned with a bust of Verdi by Giovanni Dupré. The decorations are by Giuseppe Baisi and Alessandro Malpeli of Parma, while the ceiling medallions, representing Comedy, Tragedy, Melodrama and Romantic Drama are works of art by Isacco Gioacchino Levi of Busseto (1865). 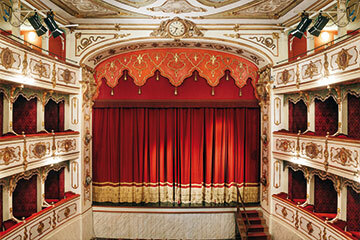 The theatre, equipped with all of the most practical facilities right from the start, was recently restored, brought up to standard and reopened. It can hold 300 people. Closed on December 24th, 25th, 31st and on January 1th. 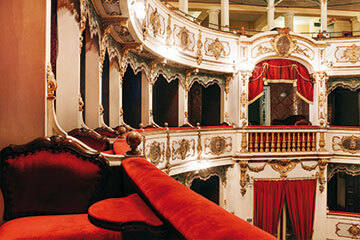 We inform our kind visitors that guided tours will not be possible during performances at Giuseppe Verdi Theatre. Domenica 11 settembre 2016 – Evento inserito nelle celebrazioni ufficiali del 150° Anniversario delle relazioni tra Giappone e Italia. 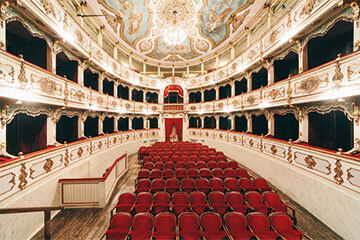 We open up our world and our heart, to let you live and not just visit, Verdi's land.